Chili Cook Off Information is here! Schnee Days Chili Cook Off Information! 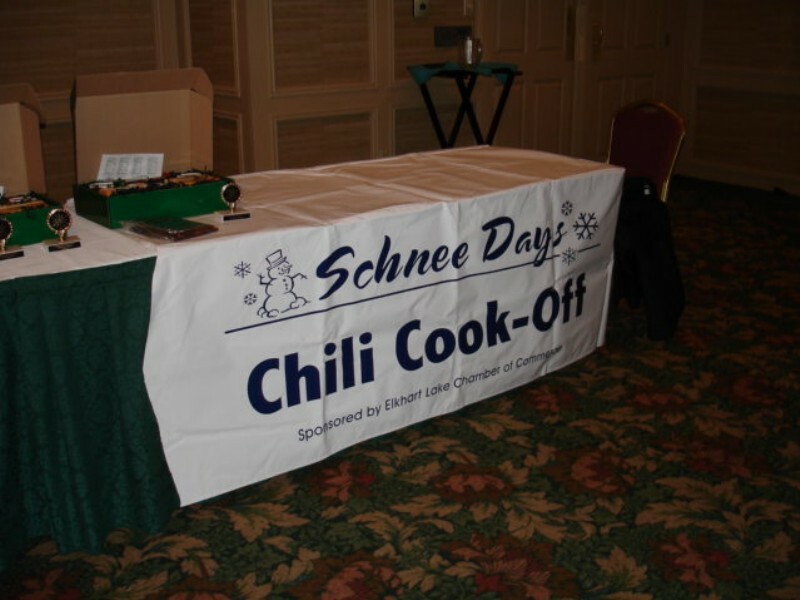 11:00 AM – 3:00 PM	Chili Cook Off – Siebkens Resort Main Dining Room. Chili will be sold at 11:00 AM following the judging. Advance registration is appreciated. Call the Chamber at (920) 876-2922 or email Lynn Shovan at lynn@lakestreetcafe.com. ‘Caught in the Act’ to play Saturday Night of Schnee Days for the 2nd year in a row! ‘Caught in the Act’ will be playing at the Victorian Village Theater again this year from 9 PM – Midnight on Saturday, February 22nd. You might remember ‘Caught in the Act’ as the high enerygy band that plays at Siebkens Resort during the Vintage Weekend. The epitome of in your face, get your body moving, can’t stop grooving, dance music. Caught in the Act has been entertaining audiences for years. A combination of its nine members allows for a thicker, richer sound, enhanced by it’s live horn section’s remarkable arrangements. located at N8350 County Road J Elkhart Lake, WI 53020. Following the show, there will be a disco! More info to come soon!